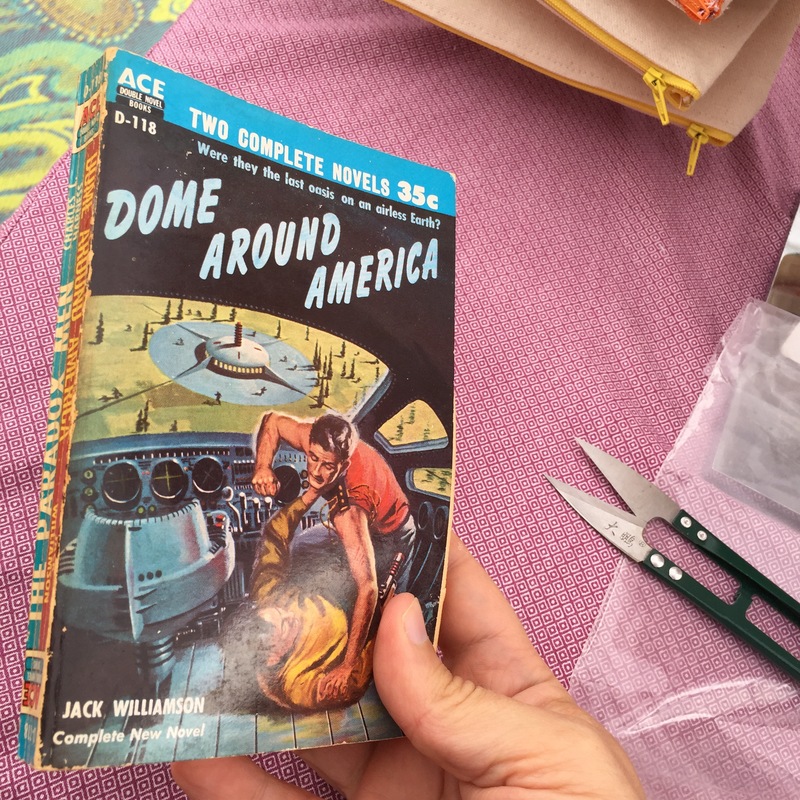 The best part of Ace Doubles are a return to a time when a science fiction novel didn’t have to be heavy enough to crush a man’s skull. One hundred to one hundred and fifty pages of fast moving plot. I’ve noticed that a lot of these novels seem to have radical changes in plot in the final third – an unexpected crisis/event that acts as a kind of reverse deus ex machina. Saw the same sort of thing in Agent of Chaos and Master of Life and Death. Anti-communism was a theme. At first, it seemed like it was all prepped to be a criticism of American style capitalism, but then… it wasn’t. I’ve already started the other side, The Paradox Men, and it seems much more imaginative.